At Parkfields Country House we would like you to sit back and enjoy your engagement, but we understand just how much there is to organise in the run up to your wedding; table plans, suit hire, florists, gifts for the bridesmaids, Band or DJ, car hire and more. With many years experience of planning weddings, we have compiled a list of our local wedding suppliers, who cater for all of your big day preparations! If you would like some further assistance planning your wedding at Parkfields Country House, call us today or make an email enquiry. 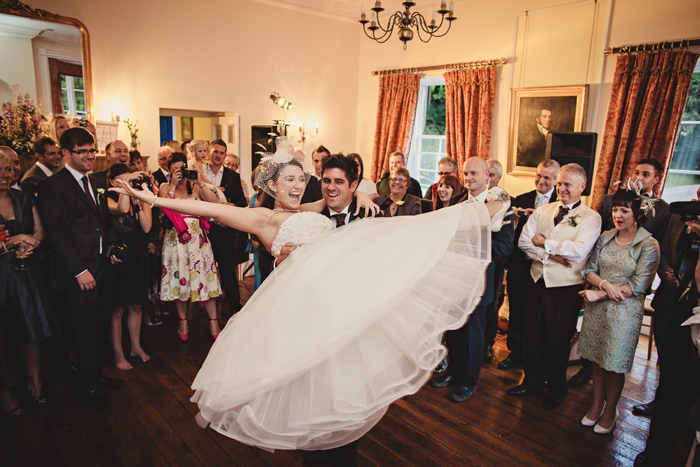 Documentary wedding photography throughout the Midlands and the West by photojournalist Sam Furlong. We believe your stationery should set the tone of your day from the moment your guests get their first glimpse. Satin and Lace Herefordshire Wedding Stationery are a family owned business covering the Hereford, Herefordshire and the surrounding areas. Fragrant, Fresh blooms are hand-picked and arranged with uncompromising attention to detail creating perfect displays for your perfect day. Whether you are thinking of glamour, greenery, nature or nostalgia (or all of the above! ), we are here to help the whole day flow and give you advice on how to make sure in particular that your flowers look (and SMELL!) amazing. Simply Stunning Hair & Beauty Ross on Wye, Herefordshire Luxury Salon Hair, Beauty & Massage Therapy. Upbeat music from a superb six piece band. Tight and bright, with a full rich sound. The band plays a wide variety of their own music and rearranged covers, from soul to blues to jazz to contemporary dance tracks. It's time to get your dancing shoes on and get ready to party! Your one stop Dj Entertainment Company, we specialise in many fields and cater for all types of events, High Energy Promotions are your local Wedding Entertainment specialists. Weddings are what we do! Everybody loves a good Wedding and we are no exception! Pete performs at over one hundred weddings per year, and it is this experience that separates what he is able to offer from the rest. With elegant songs from the 1920s, 30s and 40s, vintage wedding singer Simon Partridge will transport you and your guests to an era of timeless sophistication. Based in Ross-on-Wye, Herefordshire, Cake Aspirations offers an entirely bespoke service and creates truly incredible cakes.